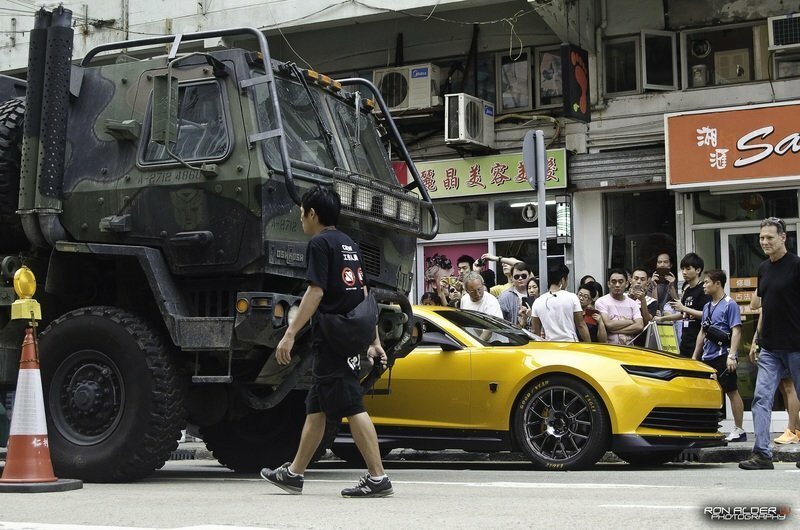 Transformers 4 is deep in filming major action sequences all over the world this year, with director Michael Bay’s latest tweets from Hong Kong proof enough to love or hate this guy. 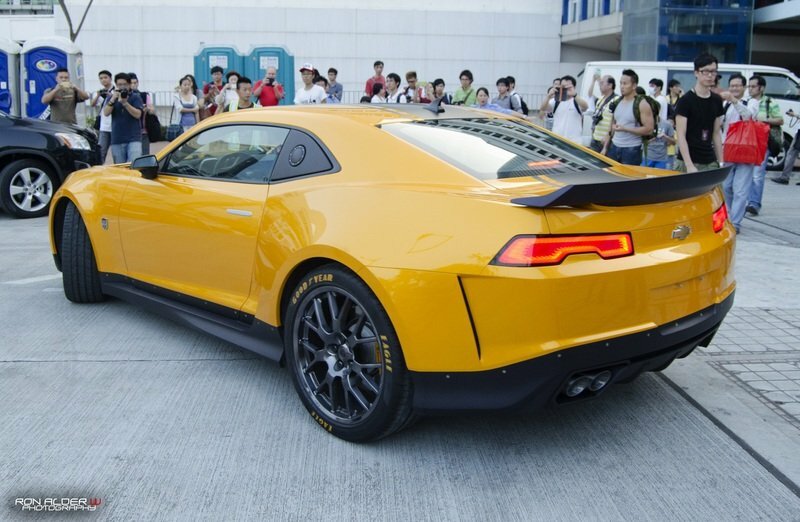 As an effects and brand integration expert, Mr. Bay’s Transformers films have a huge fan base all over the world. 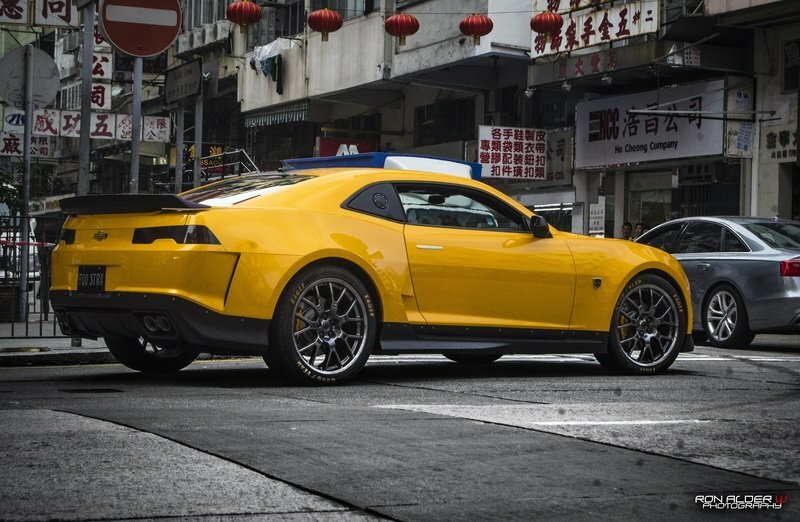 Since 2007, these movies are directly attributed to more than $400 billion in total attributed revenue from ticket sales at the movie theaters, but also for all the products Mr. Bay integrates into his films. Product placement is so irritating some times. More so than even Mr. Bay himself, at times, which is a big achievement. When the brand integration is forced, it ruins the plot’s authentic feel. Seeing a Nokia or Sony smartphone in any music video since 2000 is a good example of bad product placement. Good product placement means writing the brands into the plot of the movie from before day one. 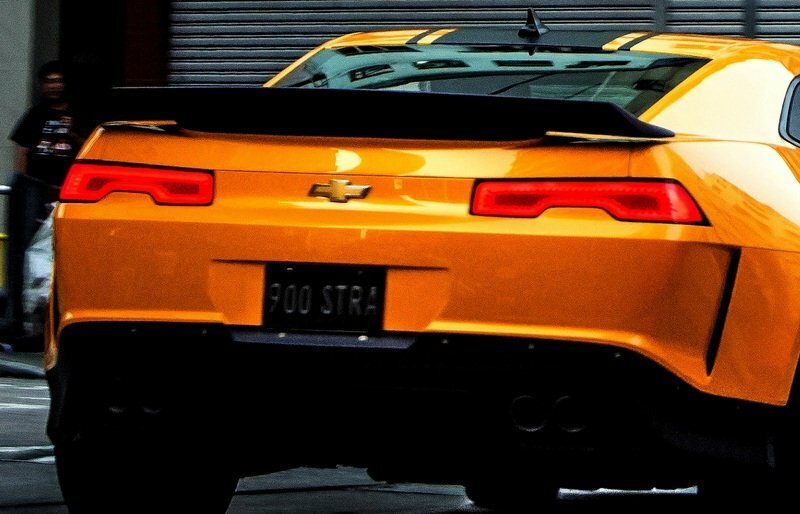 Chevrolet has been a generous partner for the Transformers films, both footing the bill for a new fleet of Autobots for each film and also marketing the movies pretty aggressively with its own dollars. The reason for this is simple: full-length action films have a global and multilingual reach far beyond any 30-second television commercial. 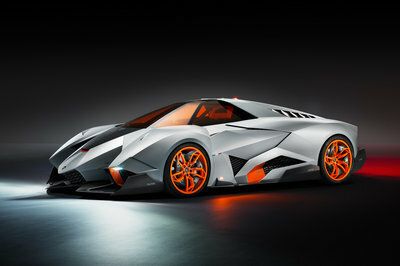 Oh, and could our new car be the Star of the film? 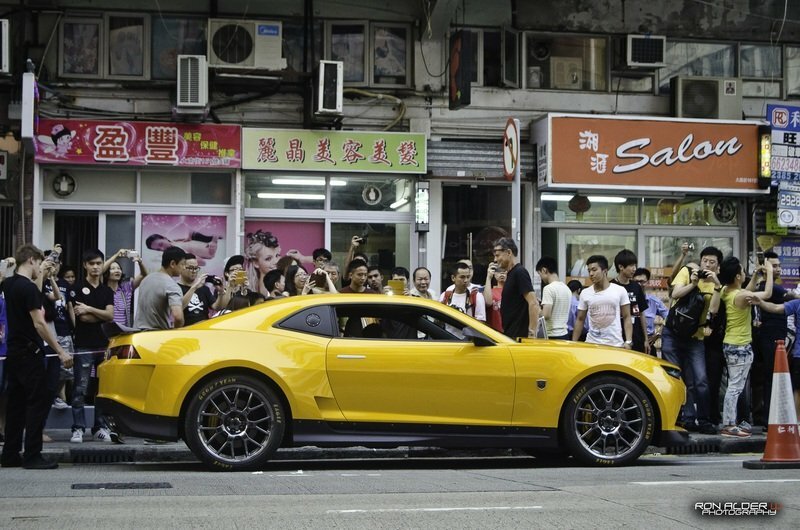 The 2007 Transformers film debuted the Camaro before it was on sale, and since then has shown interesting concepts for what ultimately became the 2014 Corvette Stingray. 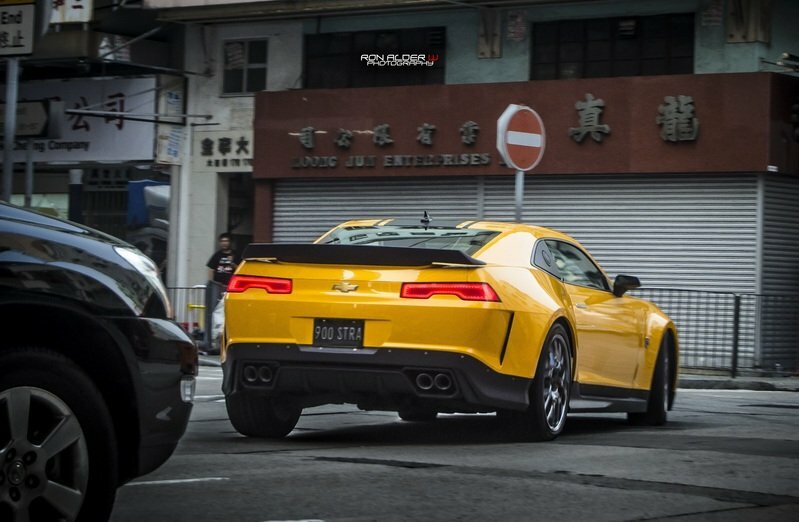 These movie cars take the ’pulse’ of GM’s styling departments by letting them create without production feasibility or engineering limits. 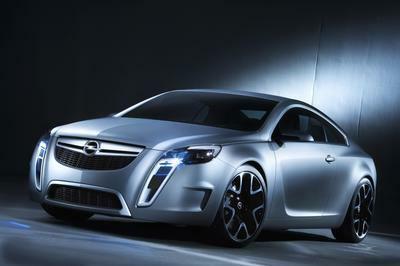 They are, in short, the best concept cars Chevrolet makes. 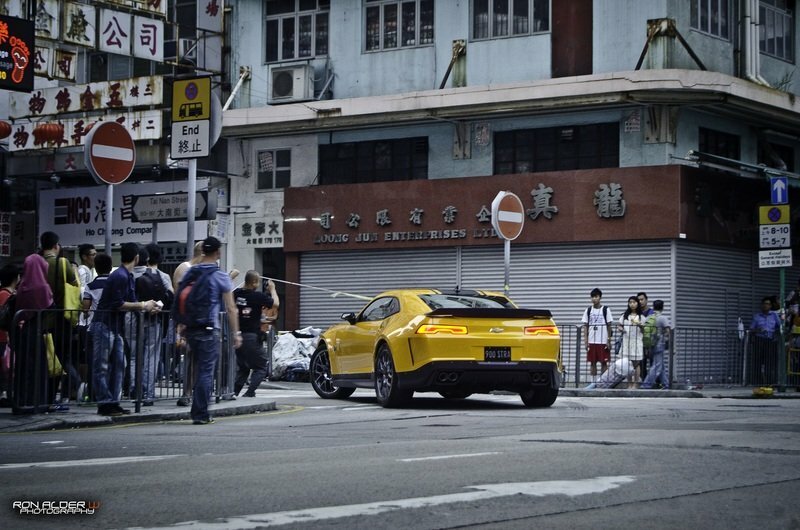 So feast your eyes on the nearly 20 high-resolution pictures snapped by Ron Alder Photography in Hong Kong this week. 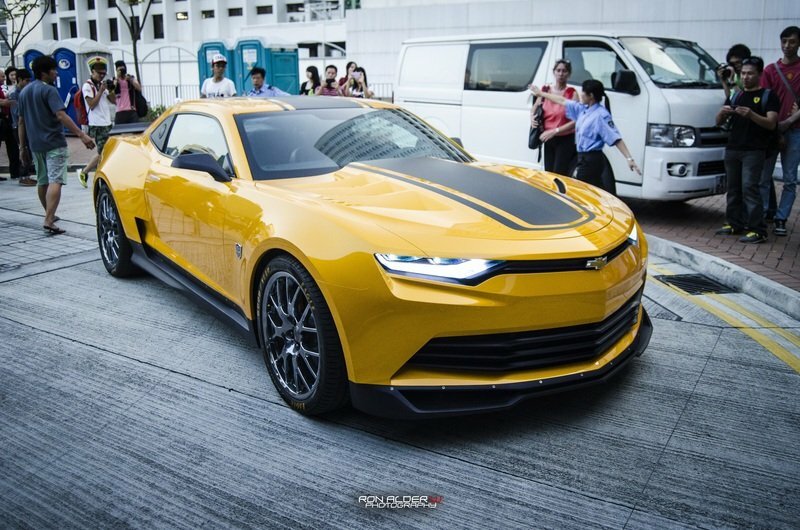 Click past the jump for real-life images of the Camaro BumbleBee concept that is featured in Transformers 4, arriving in theaters in June 2014. 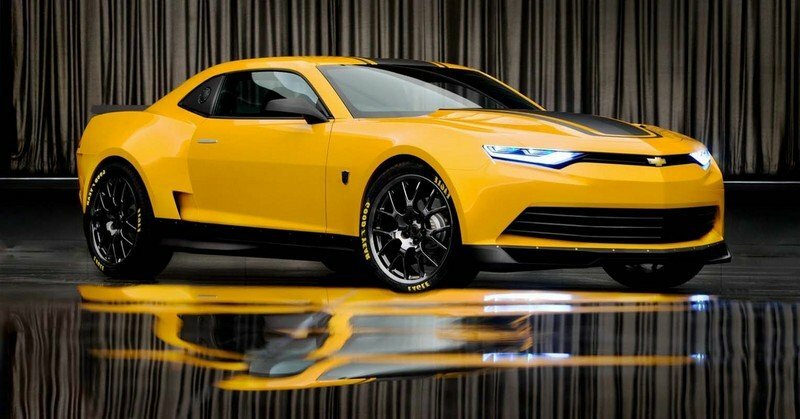 The exterior of the BumbleBee Concept shows huge changes versus the current Camaro that is also revised for 2014 with new styling and lights across the board. 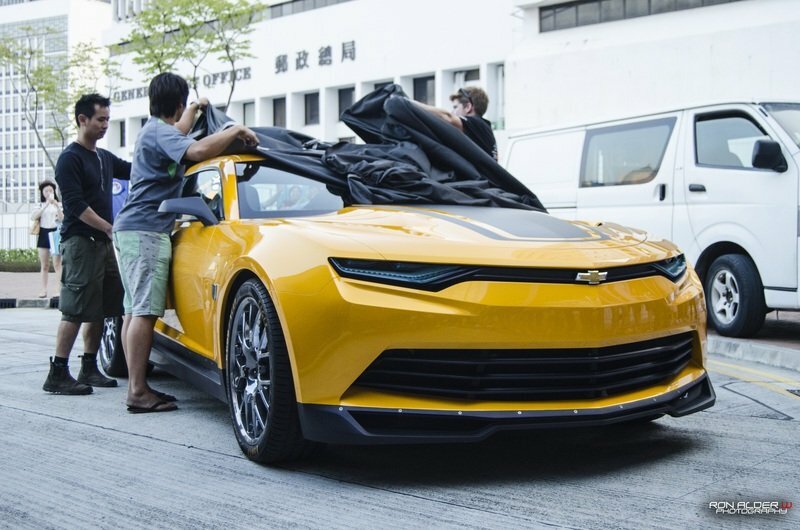 The nose of this concept movie car shows where the Camaro’s style is expected to go in 2015 or 2016, with the sunken horizontal plane of the grille becoming slimmer and smoother for less aerodynamic drag. 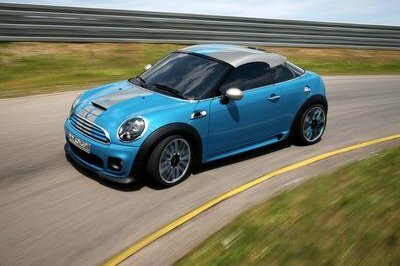 To the side, street racer appeal is present with deep sill extensions in black, and a chopped rear bumper that houses some sophisticated new aero tech. 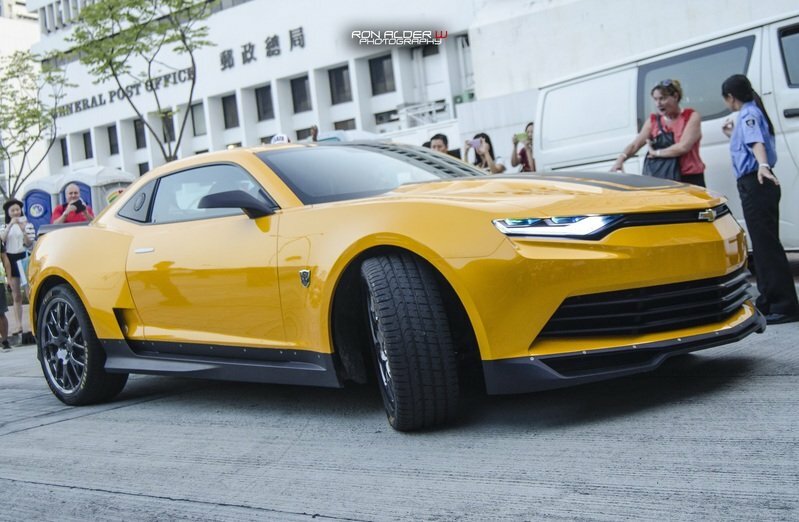 The bumpers front and back show the depth of the changes versus the previous BumbleBee models in the Transformers films, with a huge broad swath of front ducts taking the entire lower bumper until a sharp slash at each corner. 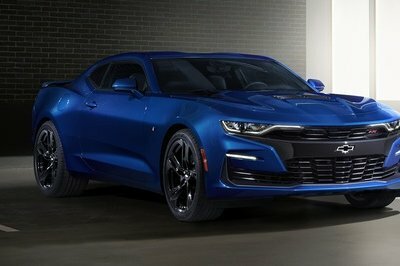 Matched in back with slash vents to release trapped air from the wheel wells, the new bumpers really clean up the current Camaro’s somewhat hard-to-digest sharpness in its bumper and shoulder lines. 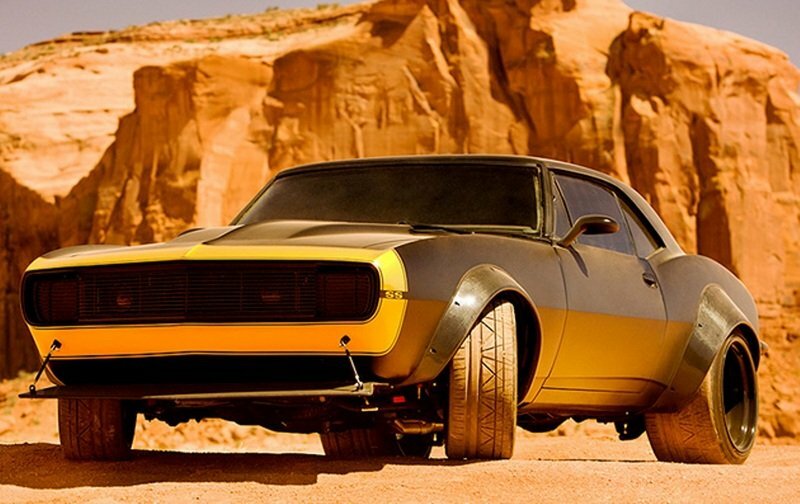 The Camaro is a special part of the Transformers franchise by representing the underdog and the all-American hero. 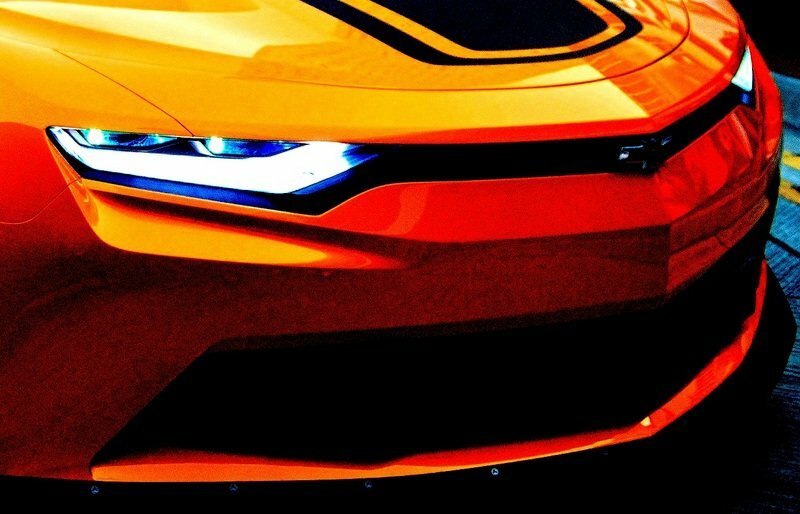 Style and major performance upgrades are visible even on this concept movie car: which will need all the help it can get to vanquish the Pagani Huayra that the bad guys are driving in the new movie. 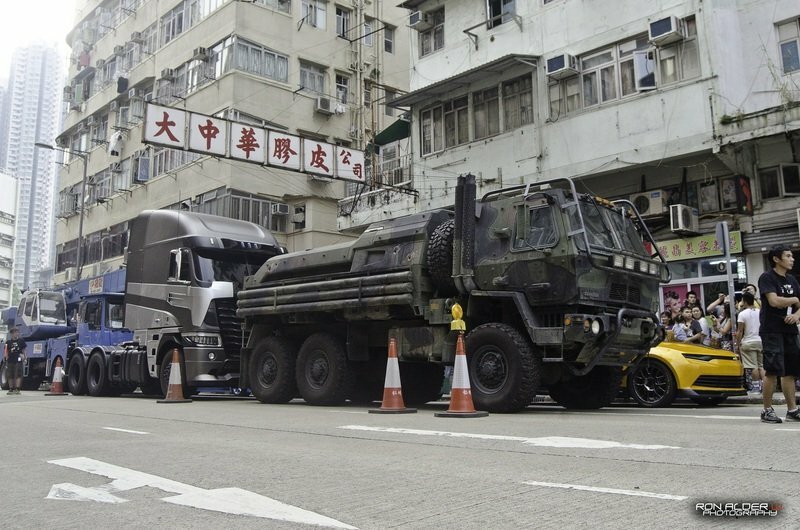 Transformers 4 is set for a June 2014 release in theaters globally, but the battle scene from Transformers 3 on the Chicago River should quench your thirst for the explosions and thin plots Mr. Bay is so famous for delivering to fans.